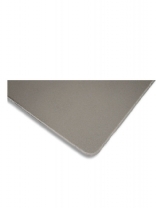 Evalon wedge strips with adhesive backing.Ideal for adding posts to manufactured Orthotics. 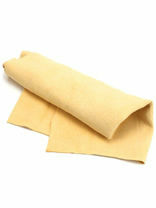 Chamois Leather (per skin) and Regenerated leather board (1.1mm)1MTR LONG X 50CM WIDE available on web sales. Royal calf lining is only available by phone, as they are sold as full skins and priced per square foot. 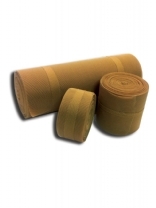 Elastic net in 3 widths. 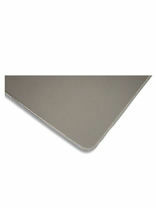 Ideal for chairside appliances or manufacture of orthotics. 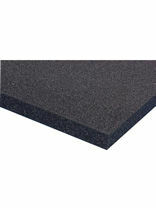 PORON® Performance Urethane materials, which are open cell, offer unique characteristics making them the ideal material selection for a variety of shoe applications including insoles and footpads. 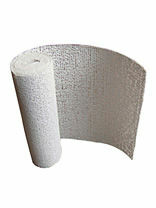 Grey or adhesive poron. 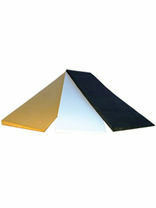 Ideal for the manufacture of insoles and orthotics. 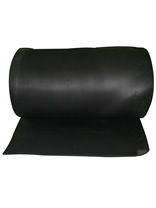 PVC covering material available in NAVY 1.4m wide x 1m. Priced per metre. 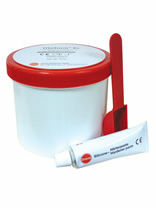 DLT stock a wide range of materials for the practitioner to create bespoke orthotic products.